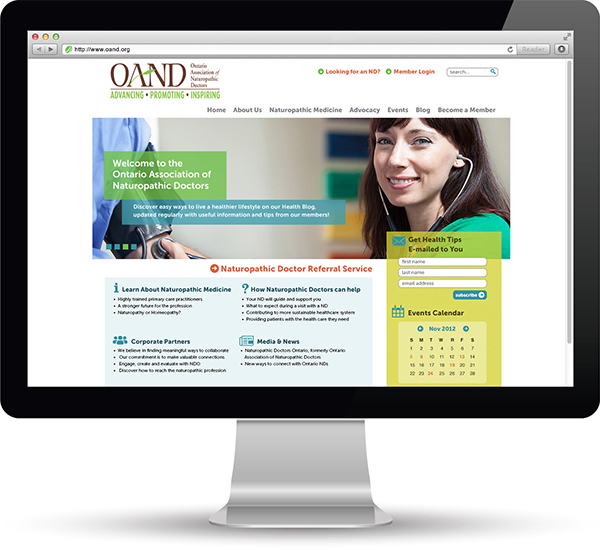 With a poorly organized and out-of-date website, OAND could not provide the service level or engagement that their members were looking for. The internal systems were both antiquated, and expensive, and were not giving management the information they needed to properly manage the organization. From an external perspective, the association was looking to elevate the profession in the eyes of the general public – and policy-makers. The challenge was to provide a solution that is less expensive, is tightly integrated with social media, and is easy to manage with limited number of resources available. Our solution built strength from the inside out, implementing association management through a CRM-based solution. At the same time, we built a new website that more powerfully aligned with their brand and strategy. 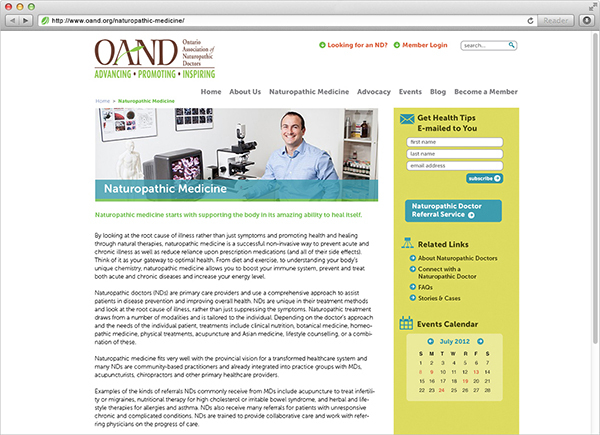 The website was highly visual, with pictures of naturopathic doctors, simpler navigation, and a much-improved members-only area. We developed their Social Media strategy, and trained the organization – and its members – on how to use these new tools more effectively. We have since helped with the development of public advocacy campaigns, additional training, branding, and second level technical support. Revamping the website resulted in improved word about the profession and better search engine ranking. Integration with CRM and social media was one of the key factors that led to the growth of membership by 50%, plus a significantly increased mailing list. 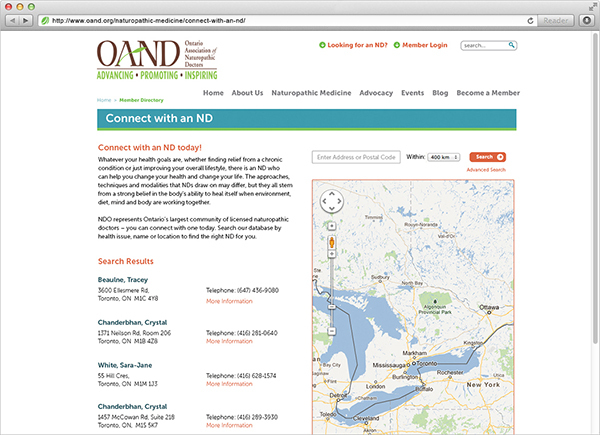 As the site gave each member the ability to update their personal profile, the OAND was able to provide a higher level of service to a growing membership, without a corresponding increase in costs.